Did life come from chemicals? In search of evidence for design, the authors leave no stone unturned. After surveying the Genesis creation and flood narratives, they examine coal beds, fossil tracks, mass extinctions, glaciation, volcanism, carbon-14 dating, rates of mutation, and Neanderthal man, looking for clues to the age and origin of life on earth. Analysis of the geologic column reveals anomalies that suggest a catastrophic flood. Thin, flat -lying beds extend without erosion for hundreds of miles. Thick layers supposedly laid down over millions of years are inexplicably graded, bottom to top, from coarse to fine. Beds of perfectly preserved freshwater and saltwater fish lie buried together. What does it mean? What caused giant ripple marks in the sediments 30 feet high with wave lengths of 200 feet? What buried vast fields of dinosaurs in place rapidly enough to avoid disintegration? Why are the world’s major river deltas only 5,000 years old? Why have the continents not eroded to sea level many times over? With copious illustrations this updated revision of a standard work incorporates new advances in plate tectonics, turbidity currents, and recent geological catastrophes. Data from the 1980 Mount Saint Helens eruption suggests new interpretations of the fossil forests of Yellowstone. Recent analysis of layered varves shows they were laid down daily—by the ebb and flow of tides—not annually, as thought. Origin by Design is an impressive catalog of evidence for creation. 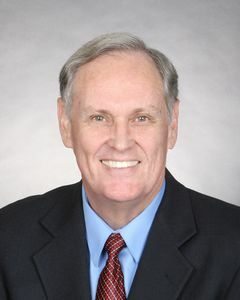 Harold G. Coffin has a Ph.D. from the University of Southern California. After teaching on the college level, he served for 27 years as senior research scientist with the Geoscience Research Institute, an institution of the Seventh -day Adventist Church. Since his retirement in 1991 he has continued to work in the areas of creation and evolution. During World War II Robert H. Brown was a research engineer for the Sylvania Electric Products Company. From 1947 to 1970 he chaired the Physics Department and later served as vice president for administration at Walla Walla College in College Place, Washington. After a few years as president of his alma mater, Union College, in Lincoln, Nebraska, he became director the Geoscience Research Institute. Since retirement in 1980 he has continued research in radioactive dating methods and has published on topics related to creation and evolution. His Ph.D. in physics is from the University of Washington.